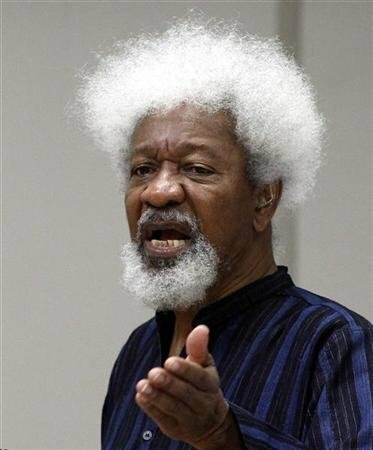 In a most unspectacular reinvention “moment”, Nobel Laureate, Wole Soyinka, has publicly declared not only his “forgiveness” but endorsement of President Muhammadu Buhari. He has affectional called Buhari a “born again” and a “new phenomenon”. Every man has a right to change his mind especially in the light of new evidence. Interestingly, Soyinka has changed as much as he claims Buhari has in real terms over the years in whatever direction he has chosen. Since Soyinka is neither a Christian nor a Muslim most Nigerians will not see such “forgiveness” as an act of piety or even magnanimity for that matter. In fact, with the current dynamics and sentiments in Nigerian politics it will actually appear to be a thoroughly predictable ‘turn of mind’, he had nowhere else to go whatsoever. But most of all it was a “moment”. ‘Momentlessness?’ Impossible! However, it is not only military leaders of Nigeria that Wole Soyinka chose to “not to forgive” then “forgave” for their “stratocratic sins”. He has forgiven Generals Gowon and Buhari and maybe in future General Babangida. General Obasanjo he was more neutral about and General Abacha he cannot forgive anyway because he is deceased. Abacha’s death has cheated Soyinka out of a “moment”. Nevertheless, Soyinka has not forgiven Goodluck Jonathan nor the People’s Democratic Party (mostly of the Jonathan years) for their “democratic sins”. If things go full circle and they will, we may well witness Soyinka in future deciding “not to forgive” Buhari for “democratic sins” regardless of the initial praise and endorsement he has now provided. The biblical story of Hezekiah tells us that God himself changed his mind in response to prayer. So do not hold your breath. I can see endless if not whimsical opportunities for forgiveness and non-forgiveness “moments” of Nigerian leaders flowing unabated in future regardless of the head of state or form of governance (predictable exceptions expected). Well, cherish the “moment” and be part of history.